Mirissa Beach is a small town on the southern tip of the island, bordering the Indian Ocean. 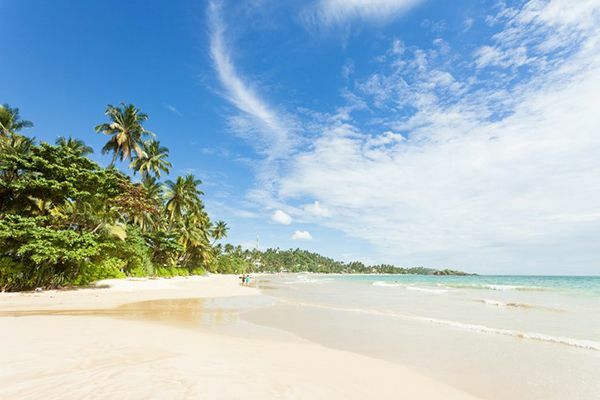 The beach is one of the best on an island full of gorgeous beaches. 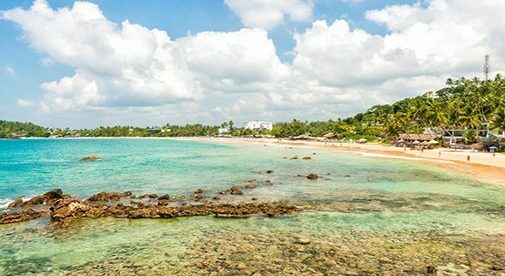 The gentle curve of the soft sugar-sand beach is lined with gently swaying king coconut palms, and peppered with little restaurants; the waves are famous for surfing. The Dewhirsts are seasoned world travelers. On one of their journeys, they drove overland all the way from their native England to Asia. They have seen their share of places…they could live anywhere…but they chose Sri Lanka. Foreigners can own houses in Sri Lanka, but the government charges a 100% tax on the purchase price. Not surprisingly, every foreign property owner who I’ve spoken with in Sri Lanka has found a way to get around paying that fee. Nicole and Ian like to start their day bicycling through the countryside. After breakfast, it’s time for a swim in their pool, then weeding and tidying the big garden in their yard, and tending to the jackfruit and passion fruit trees on their property. Later, they’ll often head to the beach for a bit of boogie boarding, followed by lunch or a seafood snack at a beachfront café. 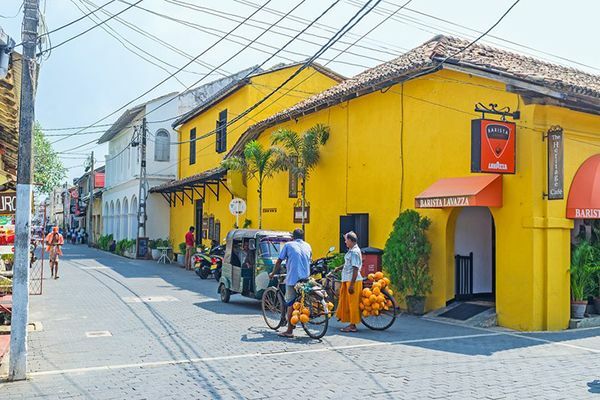 Full of colonial charm and color, Galle in southern Sri Lanka has Portuguese, Dutch, and British heritage. Foreigners can have full ownership of condominiums and apartments, and there are no special taxes assessed provided that the unit is on the fourth floor or higher. I saw one listing for a three-bedroom, furnished house in Weligama, a small resort town near the southern tip of Sri Lanka that’s famous for its surfing. The house is a five-minute drive from the beach, with a monthly rental of $493. Another house for rent is up in the hills about 15 minutes north of Galle. It an unfurnished four-bedroom bungalow in a quiet neighborhood and has a lovely view of palm trees and the forest. It’s listed for $617 per month. Word-of-mouth is the best way to find hidden gems, and you’ll often find good listings on the Facebook expat groups, too.